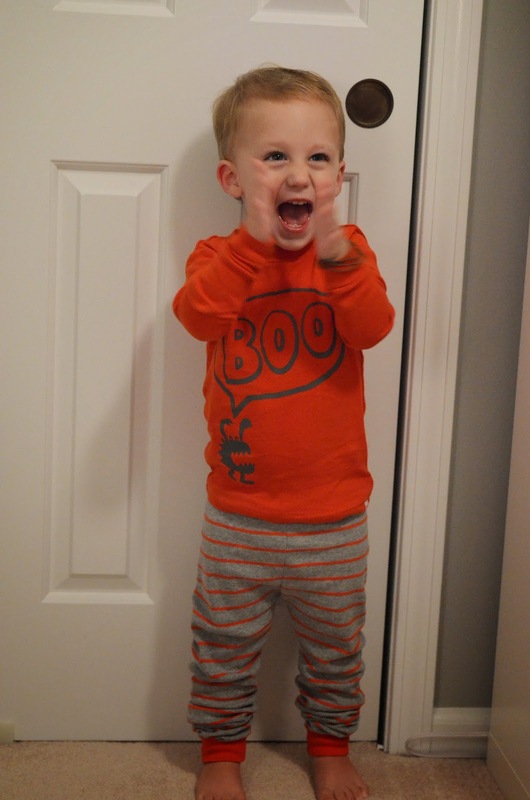 Somebody is super excited that Halloween is almost here! 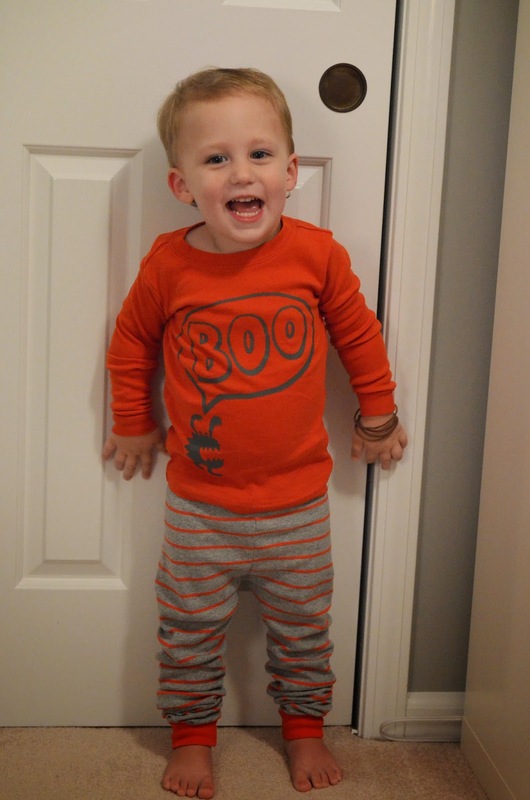 We've been wearing these PJs all month long in addition to some Halloween shirts. 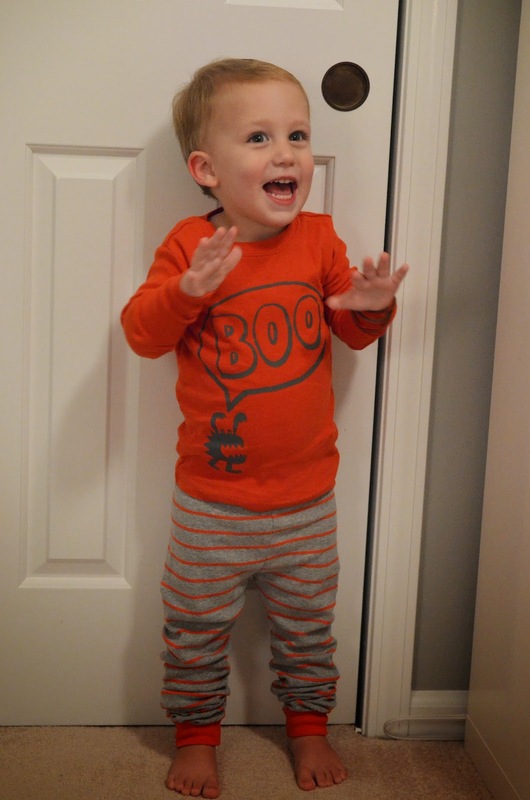 I tried to teach Noah that a ghost says "boo". But instead of repeating me, he does something even cuter... he puts his hands over his eyes to play peek-a-boo! Check out the video! 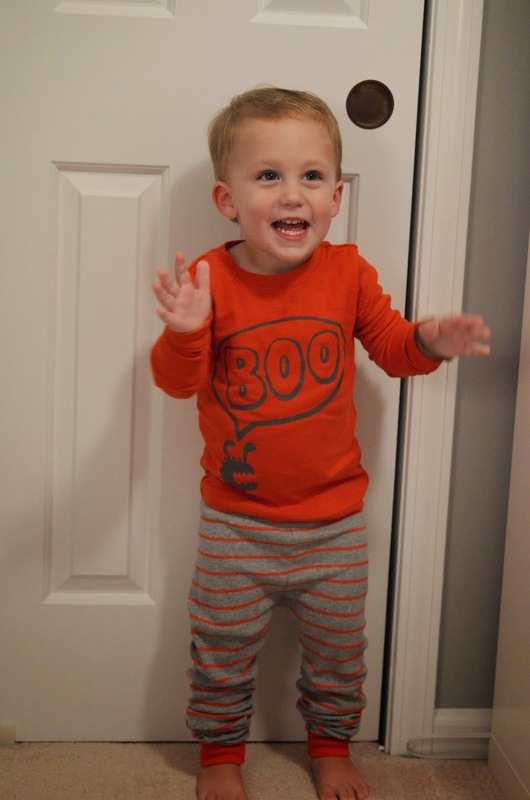 How can you not go overboard on all the Halloween cuteness that is out there. 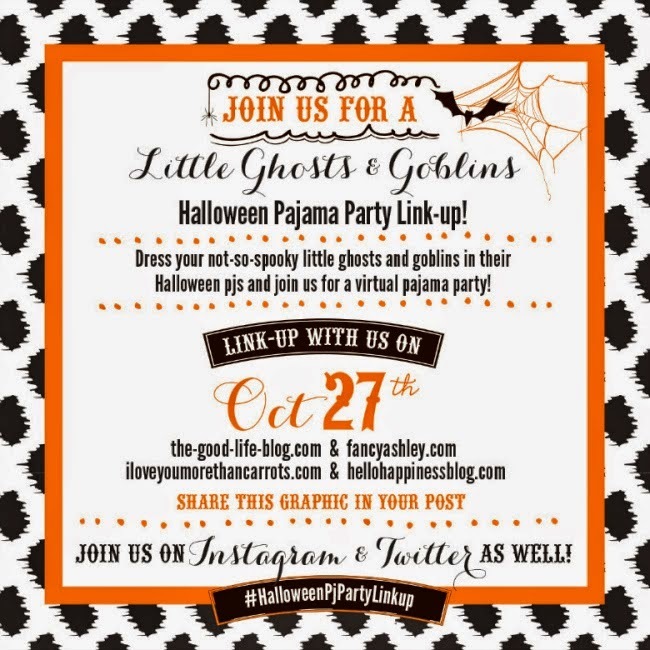 Thank you for sharing this linkup with us. The video! too cute. boo and peek a boo, very close! 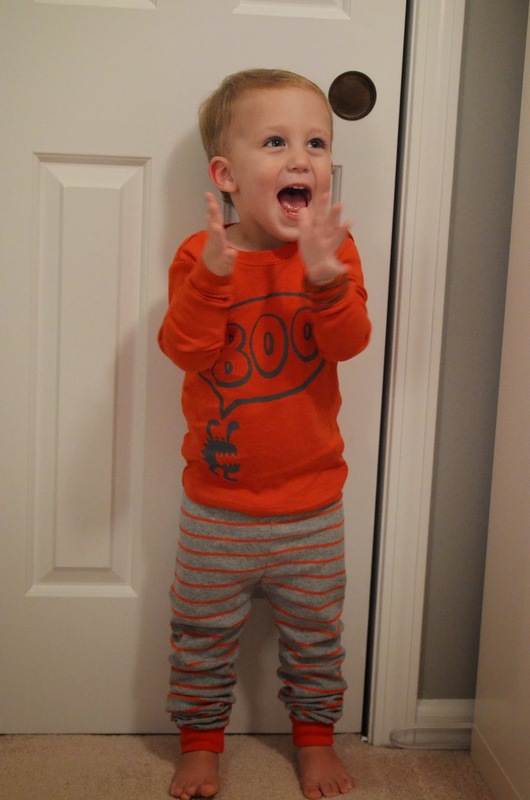 Oh my goodness, him clapping and wearing his Halloween PJs is just too cute! I love how happy he looks!